As I mentioned last week, I’m working on building up my outerwear arsenal for this season. I found this coat at River Island and loved it for a few reasons. I don’t own any plaid/checked coats so this felt different from everything in my wardrobe. I also love that the fur collar is detachable so you can get two different looks out of this coat. 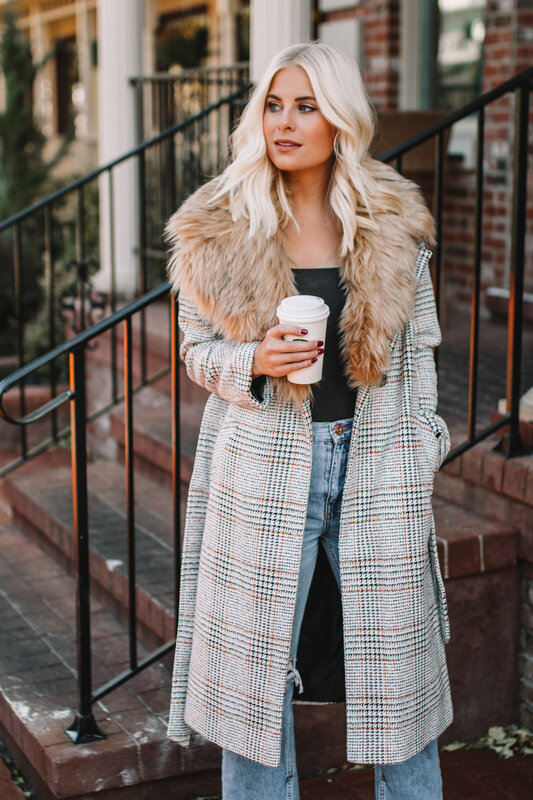 I absolutely love the fur for a more sassy look, but you can also get a more classic and tailored look when you remove the collar. 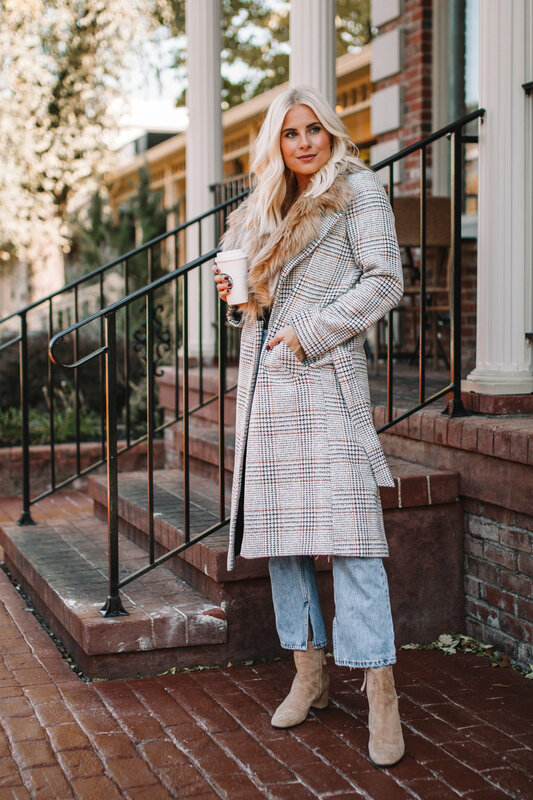 As you can see, I dressed this look down with distressed denim and booties, but I think this coat could easily be dressed up and worn over workwear or over a dress for a fall wedding. My jeans are also from RI and you’ve probably seen me wear them before (here and here)- they’re definitely one of my favorites. I’m wearing my true size (US 4) in the jeans and jacket. The jacket comes in a few different colors and I’ll link them all below. Happy Monday guys! Thanks for checking in!